5 Colorful Heart Love Rings Just $0.57 SHIPPED! You are here: Home / Great Deals / Amazon Deals / 5 Colorful Heart Love Rings Just $0.57 SHIPPED! 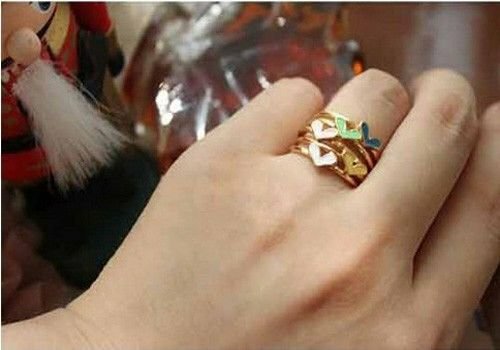 Get 5 Colorful Heart Love Rings for $0.57 SHIPPED! You guys, Amazon has a HOT deal on stacking rings right now! Head over and pick up FIVE Colorful Heart Love Rings for just $0.57 + FREE shipping! I think these are SO cute, and I love how they’re stackable!